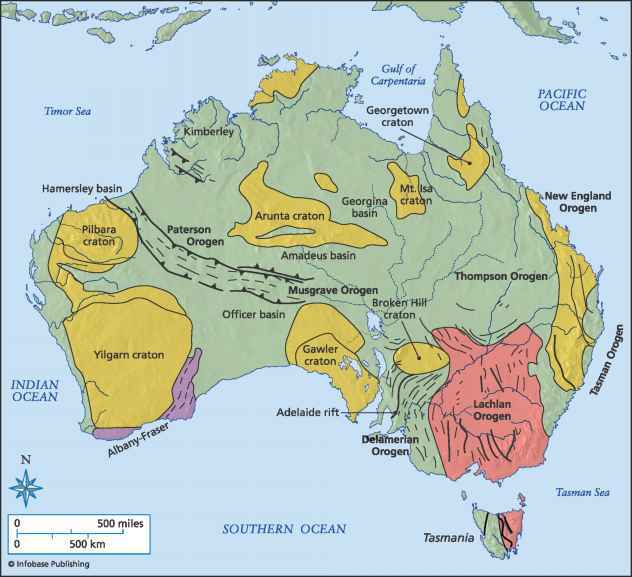 Archean rocks form the core of the Australian continent and include the cratonic nuclei of the Yilgarn, Plibara, Gawler, and Kimberly cratons. 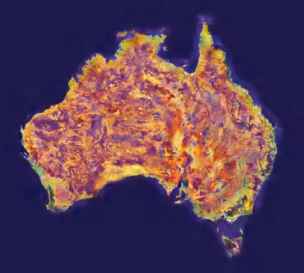 Archean rocks may also underlie portions of some of the Pro-terozoic basins and orogens, but less is known about the rocks at great depths in Australia. The Pilbara craton, located in northwestern Australia, contains mainly low- to medium-grade Archean rocks with the metavolcanic and metasedi-mentary rocks confined to relatively narrow belts between broad domal granitoid-gneiss domes typically 50-60 miles (~100 km) in width. Early ideas that the greenstones and metasedimentary rocks were simply deposited on top of older granitoids then later deformed by folding as their density caused them to sink into rheologically soft granitoids have proven to be myths. Detailed structural analysis has shown that the greenstones were emplaced structurally upon the gneissic and granitoid rocks, then deformed several times before the late open folding caused by the doming of the granitoids. The granitoid rocks of the domal structures are of four basic types: older migmatitic, gneissic and foliated granodiorites, tonalites, and trondhjemites, in turn intruded by coarse-grained porphyritic grano-diorite and then unfoliated post-tectonic granites. 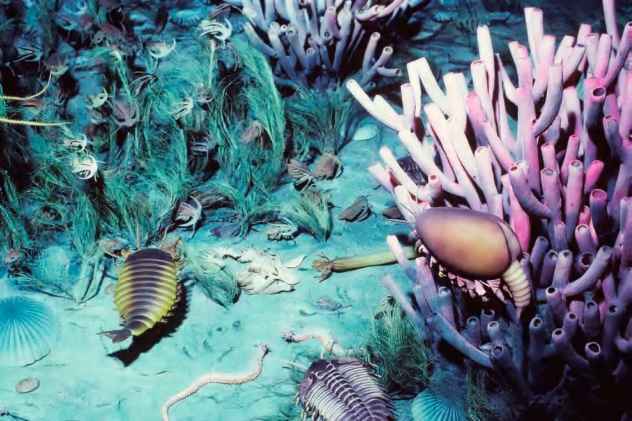 The older gneissic rocks range in age from 3.5 to 3.3 billion years, whereas the younger intrusives are between 3.05 and 2.85 billion years old. The domes in the Pilbara are not formed by intrusion-related processes, but rather reflect complex, large-scale folding events. 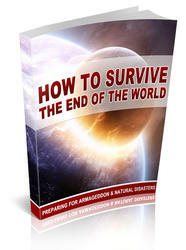 Much of the doming occurred at 3.0-2.95 billion years ago in a cratonwide event. 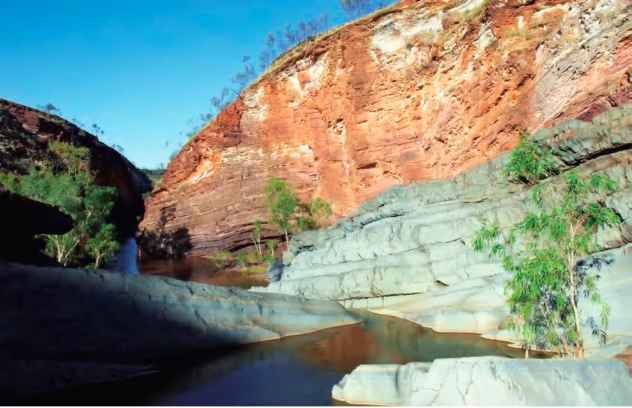 The metavolcanic and sedimentary rocks between the domal granitoids, known as the Pilbara supergroup, comprise three groups: the Warrawoona, George Creek, and Whim Creek sequences. Nowhere can it be shown that these rocks were deposited on the older gneissic rocks, though some groups argue that the entire sequence was deposited on continental basement, and others argue the supergroup is an allochthonous (exotic and far traveled) assemblage emplaced on the gneisses by thrusting and tectonic processes. some of the rock sequences within the Pilbara supergroup are calc-alkaline volcanic assemblages that resemble younger island arc sequences, and others are tholeiitic mafic volcanic and plutonic sequences that resemble younger ocean floor assemblages. These rocks are significantly disrupted and repeated along many thin shear zones and interca lated with sedimentary rocks in a manner like many younger accretionary prisms found at convergent margins, so some interpretations of the Pilbara suggest that it may represent an ancient accretionary orogen, formed at 3.5 billion years ago and disrupted by collisional tectonic events between 3.5 and 2.8 billion years ago. The southern margin of the Pilbara craton and northern margin of the Yilgarn is covered by thick sedimentary deposits of the Hamersley and Nabberu basins, including spectacular banded-iron formations (BIF). The Mount Bruce Supergroup of the Ham-ersley basin includes thick deposits of clastic and chemical sediments divided into the lower Fortescue Group containing mafic volcanics, the 1.3-mile (2.5km) thick Middle Hamersley Group consisting of banded-iron formation, shale, dolostone, and fewer diabasic intrusions and felsic volcanics. The uppermost rocks in the basin include shales, sandstones, and glacial deposits of the Turee Creek Group. The Hamersley Group is marked by thin layers of BIF that are remarkably continuous over thousands of square miles (km2) and contain roughly 30 percent iron, making these rocks a significant economic resource. The Hamersley basin is deformed into a regional synclinorium structure, and only weakly metamorphosed, with dips of strata typically fewer than 10 degrees. The ages of these rocks include an estimate of 2.49 billion years for the Hamersley Group, and all groups in the basin are cut by intrusives dated between 2.4 and 2.3 billion years old. 600 miles (1,000 km) long by 420 miles (700 km) across. The craton is subdivided into four major provinces including a dominantly gneissic terrane, the Western Gneiss Terrane in the southwest, and then low-to-medium-grade granite-greenstone ter-ranes of the Murchison Province in the northwest, the Southern Cross Province in the center of the craton, and the Eastern Goldfields in the east. All of the belts in the Yilgarn craton were affected by a regional metamorphic and plutonic intrusion event at 2.7-2.6 billion years ago. The Western Gneiss Terrane consists mainly of quartzofeldspathic gneiss derived from sedimentary protoliths, then intruded by migmatitic to por-phyritic granitoids. The Narryer Gneiss Complex in the northern part of the terrane includes layers of metamorphosed conglomerates, sandstones, pelites, and carbonate rocks and is interpreted as a strongly metamorphosed shallow water sedimentary sequence. Clastic zircons from the Narrier Complex have yielded many ancient zircons with ages from 3.6 to 3.5 billion years ago, and one sample dated by Australian geologist simon Wilde has yielded an age of 4.4 billion years, a mere 100 million years after the formation of the Earth. Geochemical analysis of this zircon grain by simon Wilde and his colleagues has shown that the zircon was derived from a rock that interacted with the early hydrosphere of the Earth, showing that oceans existed on Earth by 4.4 billion years ago. The Murchison, Southern Cross, and Eastern Goldfields Provinces are all dominated by different types of granitoid and gneissic rocks, with about 30 percent of the outcrop area consisting of greenstone belts and metasedimentary terrains. Most of these strike roughly north-northwest and have broad synclinal structures disrupted by numerous faults, reflecting their complex history. These rocks include tholeiitic basalts and ultramafic rocks near the base of most successions, with felsic volcanic rocks and clastic sedimentary rocks at the tops of the successions. Ages on the volcanics range from 3.05 to 2.69 billion years. some models for the volcanic groups suggest that the repetitive sequences from mafic to felsic volcanics are depositional, whereas others have suggested that thrust faults repeat the stratigraphic sequence. Late-stage major ductile transcurrent shear zones cut the Yilgarn craton and form many of the boundaries between different belts and terranes. The 186-mile (300-km) long Koolyanobbing shear zone in the southern Cross Province is a four- to nine-mile (6- to 15-km) wide zone with a gradation from foliated granitoid, through protomylonite, mylonite, to ultramylonite, from the edge to the center of the shear zone. shallowly plunging lineations and a vari ety of kinematic indicators show that the shear zone is a major sinistral fault, but regional relationships suggest that it does not represent a major crustal boundary or suture. Fault fabrics both overprint and appear coeval with late stages in the development of the regional metamorphic pattern, suggesting that the shear zone was active around 2.7 to 2.65 Ga. The granitoid intrusives in the Yilgarn craton account for about 70 percent of the outcrop area. These include 2.9-2.6 billion-year-old tonalitic to granodioritic phases, and 2.7-2.6 billion-year-old granodiorite to granite. The older granitoids have geochemical affinities to convergent margin arc magmas, whereas the younger granitoids may be related to post-collisional melting such as characterizes many younger convergent and collisional mountain belts in Phanerozoic orogens. The Gawler craton is a relatively small block located in areas surrounding the Eyre Peninsula in south-central Australia, and is younger than the Pil-bara and Yilgarn. It contains rocks that formed in convergent margins between 2.5 and 1.5 billion years ago, then became relatively stable after an orogenic event between 1.9 and 1.84 billion years ago, probably reflecting the incorporation of the block into the Rodinian supercontinent. The Kimberly block of northern Australia is thought to be an Archean craton, but it is covered by thick deposits of the Kimberly basin. This block is bounded on the southeast by the Halls Creek belt and on the southwest by the King Leopold belt, both of which are Proterozoic orogenic belts that experienced strong deformation in the Barramundi orogeny at 1.85 billion years ago. After this major deformation event the Kimberly block was covered by up to three miles (five km) of uniformly bedded quartz sandstones, shales, limestones, and flood basalts.